Corruption, dirty politics and betrayal by the Kurdistan Regional Government (KRG) has led to Iran and Turkey becoming a tad closer over the political suicide of President Barzani. Will the Kurdistan leader take his own country down with him? Barzani’s capricious, if not reckless move to plow ahead with a referendum – in an erroneous bid to galvanize more political support for himself – is likely to backfire on a grand scale. Certainly, he has whipped up a plethora of feel-good nationalism as the Kurds’ dream of an independent state was stoked following the demise of ISIS in the region. But how long will that euphoria last if Iran and Turkey – the two key players who have both Kurdistan’s and Barzani’s fate in their hands – agree to a blockade? While the Kurdistan quandary helps to bring these two countries slightly closer, the prospect of Kurdistan’s oil lifeline being closed becomes a stark reality as the clock ticks. Barzani didn’t merely miscalculate that the referendum could be used as leverage over Baghdad, but also that his threats of using military means to secure hot spots, like Kirkuk, are nothing more than a triumph of futility in the face of what Iran, Turkey and Baghdad have in store for him. There doesn’t need to be a war. In fact, the main reason why these three players are dragging their feet is that they are slowly lowering Barzani into a boiling cauldron of his own making. If he doesn’t do what Baghdad demands he will see his own country go into a meltdown when oil can no longer be exported. Turkey does not have to go to the next level and threaten to stop supplying goods (Kurdistan relies heavily on Turkey for almost everything in its supermarkets) if there is no money to pay for them. If Kurdistan slowly sinks into debt and there is no money even for the state apparatus to function, the political turmoil will be enough to topple Barzani when supermarket shelves are empty, and people can no longer feed themselves. To some extent, the political fallout is already happening. His three chief foes are already complaining about the wisdom of the decision to go ahead with the referendum, and a subsequent post-referendum political shake-up. Politically, this will have greater resonance when the middle classes have to live off their savings, and the poor have nothing to eat in a country where teachers and public servants haven’t received their full salaries for years. What is seldom reported by the Western media camped in the decadent regional capital of Erbil is the jaw-dropping level of corruption by Barzani and his people – the kind of graft which makes Baghdad look modest in its looting of public money, kickbacks and wholesale embezzlement. And how corruption, which has driven Kurdistan deeper into the quagmire of poverty and debt ($20 billion at last count) has ruined the country and put Barzani in the position he is now: one of desperation, both politically and financially. Barzani tenuously holds onto power over only half of the region, as fervor stirred up by the referendum was designed to galvanize his own (already extended) term in office as president. The cash from Kirkuk oil fields was also supposed to help Kurdistan’s beleaguered economy pull itself out of a crisis brought about by a war with ISIS and low oil prices. Barzani’s critics, however, are harsher. One senior Iranian figure told me on the condition of anonymity that most of this money would end up in the pockets of Barzani’s clan anyway, and that corruption is really the core issue which Western pundits are missing in the smoke and mirrors of the referendum debacle. The real problem for Barzani is that he has burned all his bridges with the central government in Baghdad, with Iran, and even, although to a lesser extent, with Turkey. It’s widely unreported in the West that it was the Iranians who saved his neck in 2014 when ISIS was a matter of kilometers from Erbil, the region’s capital. According to a somewhat obscure Kurdish news website, Tehran sent its own special forces, led by General Solaimani, to Erbil to deter ISIS when the Americans refused to help, dispatching another myth of how effective the infamous Peshmerga really are on the battlefield. Barzani would have been wiser to have been more grateful to Iran. Yet he has betrayed Tehran on a grand scale by defying its advice and offer of help to negotiate with Baghdad in preference for the referendum. Now, officials tell me, he has “lost any leverage at all with Baghdad,” who will now take back anything that could be on the table for negotiation. One senior Iranian figure did confirm this, however. Talk about a gun backfiring in your face. Iran’s experiences with Barzani were that Tehran always distrusted him. It is a popular myth that the Kurds started to sell their own oil after agreed payments from Baghdad stopped. In fact, Iran claims it was the other way around. Double-crossing is the mainstay of Barzani and Iran has paid the price for this. Even with ISIS, Iranian officials now believe there was originally a deal with the Kurds that they would not fight the extremist group, allowing the Kurds to take a number of towns which the Iraqi army abandoned. Later, that unwritten deal was to be broken (hence the Erbil crisis in 2014) but Baghdad and Iran are both seething with anger that in the early days the Kurds would not attack ISIS as they were asked to do. Kurds like to present themselves as the victims of betrayal and persecution, yet they are prolific at the dark crafts themselves. Because of this colossal betrayal and a total lack of trust in Barzani, the Kurdish president is almost entirely isolated. Amazingly, he must have seen this as a position of strength in the early days; but just recently, it is beginning to sink in that his only options are to stay in the boiling fat, or jump into the fire. This explains why Barzani offered just a few days ago to send a delegation to Turkey, as although Erdogan is angry with him, he has at least not betrayed the Turkish leader. Barzani realized late in the game that Erdogan holds all the power now because of the border crossing and also due to its good relations with Iran. Yet even with Turkey, Barzani’s options are really very limited as he has pushed Erdogan into a position of offering ultimatums. Ankara is still holding out for a diplomatic solution, and probably on behalf of the Americans recently sent a message to Barzani through one of its Erdogan-backed outlets, which urged him to back down and cancel the referendum. In the past, when relations with Baghdad hit a low point in 2014, Erdogan lent Barzani $2 billion to pay government salaries and allowed him to sell oil in Turkey. “Ankara made every possible friendly gesture to Barzani, and now Erdogan rightfully feels let down,” argues Daily Sabah. “You will be left alone when we start imposing our sanctions. Once we shut down the [oil pipeline] valve, [you] will be done,” Turkish President Recep Tayyip Erdogan said recently. So giving in to Turkey’s demands comes with a hidden price which is that it would make Erdogan the key player to resolve Iraqi’s crisis, a counterweight to Iran (and Baghdad) which has now gone beyond dialogue as military exercises are being carried out by the Iraqi army. It might well turn out in the coming days that Baghdad will find itself negotiating with Erdogan, who in recent years has grown closer to Barzani and sees him as a useful Kurdish figure to cast a shadow over the PKK which is at loggerheads with the KRG leader. A visit to Iran from Turkey’s government planned soon will provide an opportunity for both regional powers to grapple the Kurdistan puzzle. But it’s really now about numbers for the Turks (cheaper oil, perhaps?) or seeding a total political takeover for Baghdad and Iran. 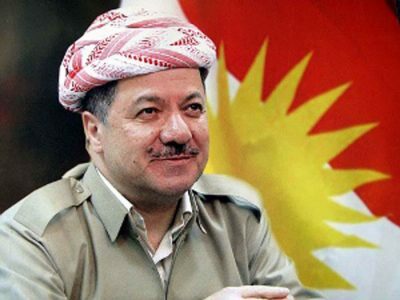 Barzani will most likely pay the price for his recklessness. He’s had the party. Now it’s time to clear up and pay for the damage. If he doesn’t do the right thing and accept this maxim, then all that remains is to witness his own fall as regional superpowers all plunge their daggers, as he has one last Shakespearean role to play for them, as a bloody example of what becomes of those who forget who placed them in power. Martin Jay is an award winning British journalist now based in Beirut who works on a freelance basis for a number of respected British newspapers as well as previously Al Jazeera and Deutsche Welle TV. Before Lebanon, he has worked in Africa and Europe for CNN, Euronews, CNBC, BBC, Sunday Times and Reuters. Follow him on Twitter @MartinRJay.